Your grandparents would probably be familiar with the houses offered by Celebration Homes in Durham Farms, with their traditional alley garages and brick exteriors. But what’s inside might be a surprise. Celebration’s homes are loaded with Wi-Fi capability that allows homeowners to use their smart phone to control the home’s temperature, open and close the dead bolt locks on the doors and even detect a water leak if they want to. With a Ring doorbell, they can see who’s at the door even when they aren’t home. The robot floor sweeper might not be familiar, either. Celebration partnered with Samsung, the technology company, to create what it calls its Family Hub. With it, homeowners can use one app to control the technology of their choosing, including the refrigerator, the stove, the dishwasher and the washer and dryer. “Through one singular app, you can control most of the product benefits desired in a home rather than inconveniently having to go to multiple apps to control each individual product, not to mention having all the additional individual apps on your phone causing more clutter,” said Randall Smith, Celebration’s president. Celebration isn’t the only home builder embracing technology. Durham Farms is where Lennar Homes introduced its Wi-Fi Certified Home Design in the Nashville region. Home designs are tested to ensure strong Wi-Fi signals in every room so homeowners can add whatever level of technology they want to. In Durham Farms in Hendersonville, Lennar’s single-family homes have three or four bedrooms and two or three full baths. Prices range from $369,990 to $389,990. 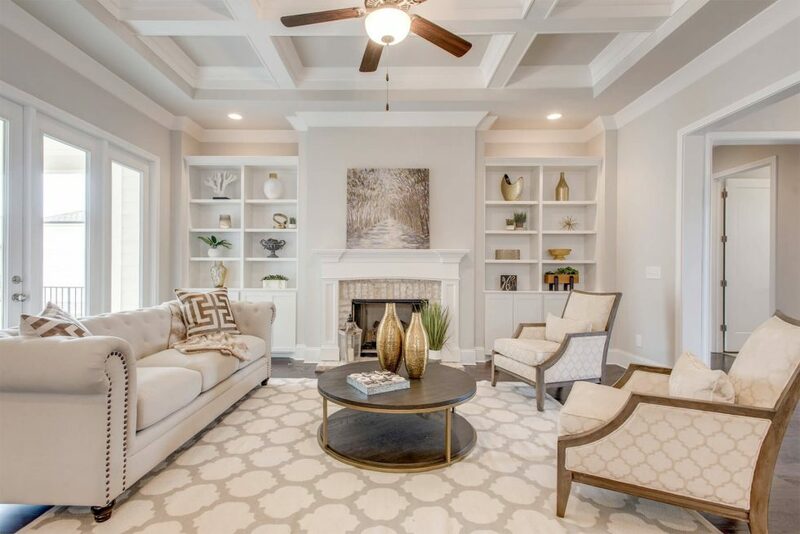 Celebration’s single-family homes in Durham Farms have three to five bedrooms and from two to four full baths. Prices start in the low $400,000s. Interiors are designed for the lifestyles of today’s families, said Kim Barrett, Celebration’s sales manager in Durham Farms. “Our homes offer first-floor living that works perfectly for entertaining and casual living. A first-floor study is popular with today’s buyers and every home offers that opportunity,” she said. Homes have open floor plans. Private owner’s retreats are designed with lots of windows and master baths offer large tiled showers and freestanding tubs. 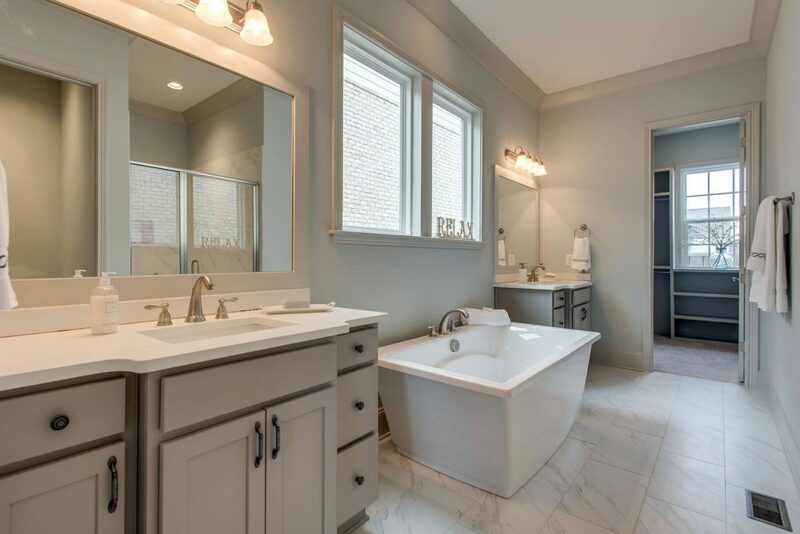 Interior features include 10-foot ceilings and 8-foot doorways, extensive trim finishes, hardwoods in all main living areas and tile in wet areas. The baths and kitchens have granite countertops. Celebration’s kitchens in Durham Farms have large islands, custom pantries and an owner’s closet as well as options for a butler’s pantry. Hardwood steps lead to the second floor. Homes also have indoor storage. Homes have another feature that would be familiar to your grandparents. Covered porches encourage quiet conversations with the neighbors. The alley garages in the rear are a key design element, said Barrett. “Garages on the rear of our homes allow us to focus on exterior architecture, creating a gorgeous streetscape for the community,” she said.